Revolutionize The Way Your Company Manages Its Spend. Explore how un-managed spend can be putting your company at risk. 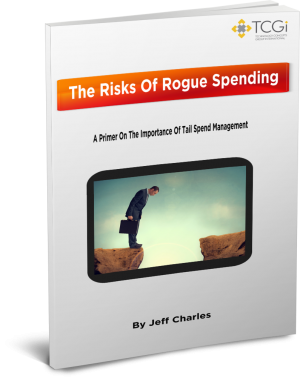 Make the case for implementing a viable tail spend management program which can literally save millions of dollars by empowering your company to seize control of its spending. The eBook you requested is on its way - Check your email! To receive the e-Book please provide the information requested below! Thank you for connecting with TCGi on your information request! Take the first steps to saving your company millions of dollars.